Description: A free customizable three-way responder template is provided to download and print. 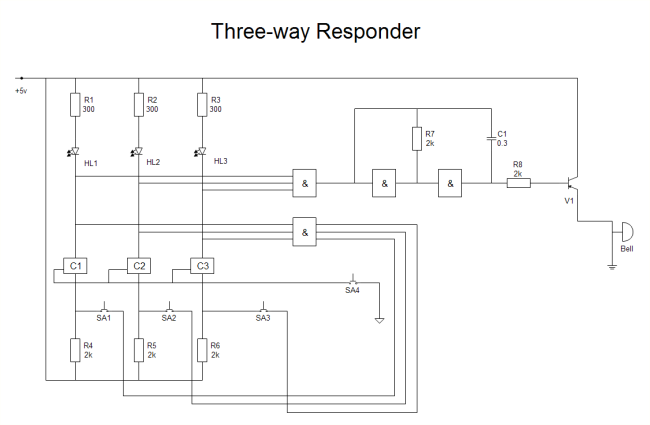 Quickly get a head-start when creating your own three-way responder diagrams. Any existing three-way responder diagram can be represented by this template after some necessary changes. You can also make other basic electrical diagrams through Edraw easily.